Pictured (clockwise from upper left): Natalie Perry, Arica LeFevour, Carol Adams, Kim Ulfig, Luke Widmer, Betsy Goltermann, Brandy Harrington, Laurie McMahon. 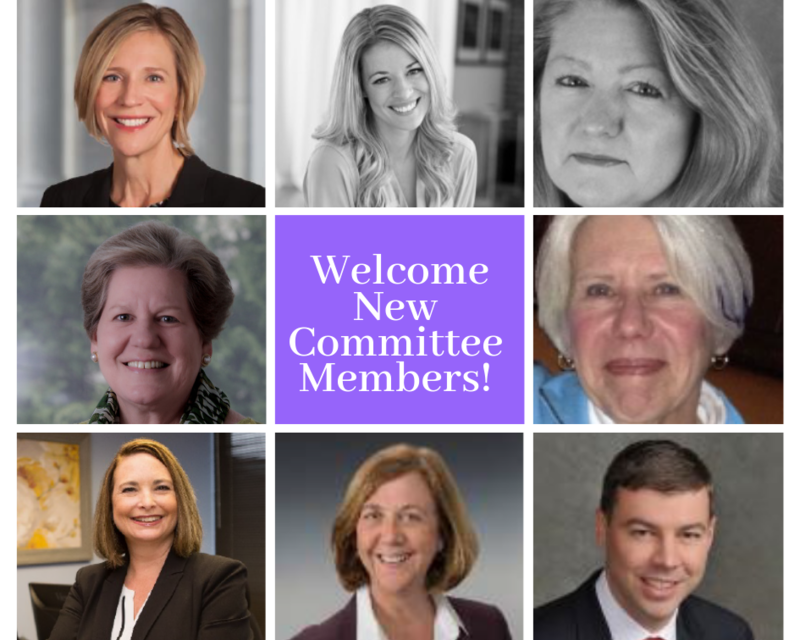 The DuPage Foundation is pleased to welcome eight new committee members to our growing number of volunteers. These individuals were approved by the Foundation’s Board of Trustees during its March 21 meeting and will join with staff and our nearly 150 volunteer leaders to help advance the Foundation’s vision of raising the quality of life throughout DuPage County. We thank all of our new and continuing volunteers for their service and for all that they do to on behalf of our community! Betsy Goltermann currently serves as advisor, and was formerly CFO, for KI Industries, a family-founded manufacturing enterprise supplying comprehensive plastic components to the appliance and automotive manufacturers. With her cousin Dave Goltermann (now Executive Chair) she’s helped grow the 55-year-old company from a start up to a $100 million enterprise with operations in Illinois, Mexico, and China. Goltermann serves on KI’s board, chairing the audit committee, and is also a member of its compensation committee. She is a director at the Elmhurst Art Museum and is active at Family Shelter Service. She serves on the advisory board of Loaves and Fishes, and chairs the City of Elmhurst’s Public Arts Commission. Goltermann is also an active participant in the Chicago Finance Exchange. She lives with her husband, Ed Momkus, in Elmhurst. Both received the West Suburban Philanthropic Network Leadership Award in 2013. Laurie McMahon has volunteered with the Foundation for many years, currently serving as a trustee emerita and member of the Financial Operations Committee. After an extensive career in banking and finance, McMahon ended her career as senior vice president and director of investor relations at Northern Trust. In addition to the Foundation, McMahon has volunteered with many other local organizations including Hinsdale Village Caucus, Boy Scouts, Hinsdale Plan Commission, Child’s Voice School, and Hinsdale elementary, middle, and high schools. She currently serves as treasurer for the Union Church of Hinsdale and is a board member of the Hinsdale Humane Society. McMahon is a 29-year resident of Hinsdale and has three adult children. She enjoys travel, bridge, reading, and cultural arts. Carol Adams, former vice president and chief compliance officer for Inland Real Estate Corporation (IRC), has displayed strong skills in leadership, strategic corporate planning, and problem solving during her 30-year accounting career. At IRC, she managed a team of more than 25 employees in day-to-day operations of portfolio management. Previously, she has worked as controller for Inland Insurance Company and for Inland Securities Corporation. She also owned a small business accounting firm. Adams obtained degrees in Accounting and Business Management from Augustana College. Arica LeFevour currently works as a broker associate for @Properties in Elmhurst, having generated more than $1.5 million in sales in just seven months. She has been a part of the Adolescent Diversion Program at Michigan State University, her alma mater, which advocates for at-risk youth, and worked closely with family, school administrators, and judicial officials to produce a more productive environment for youth in the East Lansing community. Additionally, she has volunteered with DuPagePADS, Purolator Tackle Hunger Food Drive, Pullen Elementary School in Michigan, and Advent House. 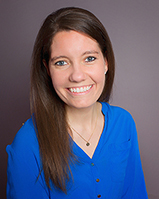 LeFevour earned her degree in Psychology from Michigan State University and currently resides in Downers Grove. Kim Ulfig is a retired resident of Glen Ellyn. She met Foundation President Dave McGowan 20 years ago and learned about our work by attending multiple Foundation-sponsored events. She is an active supporter of the Play For All Playground and Garden Foundation. Ulfig is especially looking forward to this summer’s construction of a universally accessible treehouse at the Sensory Garden Playground in Lisle. She enjoys spending free time with her husband and spoiling her two Collies. Brandy Harrington, CFP® has worked for more than 20 years in the financial services industry. She is currently the principal for Black Diamond Planners where she helps families meet their financial goals and coordinates with other trusted advisors to create comprehensive financial plans. Harrington has a passion for giving back to the community, serving as board president for CASA DuPage and treasurer for the Zonta Club of St. Charles-Geneva-Batavia. Harrington is a member of the DuPage Estate Planning Council, Financial Planning Association, and The Heritage Institute. She enjoys spending her free time outdoors, traveling, and reading. Natalie Perry, CPA, JD, is an experienced tax attorney who currently serves as a strategic advisor to businesses and high-net worth individuals on wealth management and preservation at Rathje Woodward. Perry’s areas of expertise include estate planning, trust and estate administration, and taxes. She has served on several boards and has memberships in multiple councils, most recently serving as board chair of the Hinsdale Hospital Foundation, member of the Chicago Estate Planning Council, and member of Illinois CPA Society’s Estate and Gift Tax Committee. Previously, she served as a Chicago Bar Foundation volunteer and a member of the Hinsdale Hospital Planned Giving Advisory Council and the Hinsdale Hospital Foundation board. Perry has also made substantial contributions to her field through lecturing, writing, teaching, and participating in bar activities. Luke Widmer has dedicated his career to managing private, ultra-high net worth individuals. He is experienced in advising clients on trust, estate, gift, and income tax planning. He currently works as a financial advisor for Edward Jones where he helps his clients create long-term financial strategies, analyzes financial statements, creates financial projections, constructs and manages small business retirement plans, and develops client relationships. Widmer has been involved in several community organizations in the DuPage area and in Florida. He currently serves on the board of directors for William A. Steele Foundation, Oakstone Foundation, Glen Ellyn Chamber of Commerce, and Kiwanis of Central DuPage, and serves as an Elder at First Presbyterian Church of Wheaton, and is a member of the Next Generation Initiative at DuPage Foundation. He has previously served on boards for Orlando Economic Partnership, Orlando Regional Chamber of Commerce, Orlando Science Center, and Florida Institute for the Commercialization of Public Research.